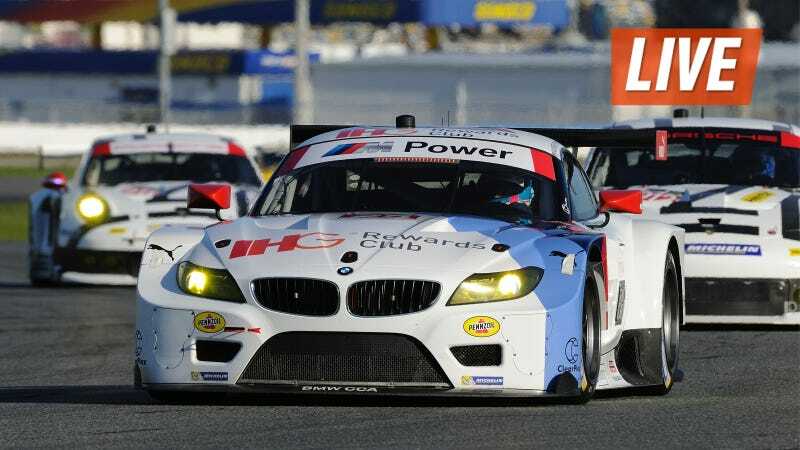 Love the beastly sounding BMW Z4s that run in United SportsCar? We've got two of the guys who drive them in the GT Le Mans class for BMW Team RLL, ready to answer any and all of your questions: Graham Rahal, who usually runs with the team in IndyCar, and sportscar veteran Bill Auberlen. Bill Auberlen is practically synonymous with BMW sportscar racing, successfully piloting the marque's offerings for many years. He's done over 250 races in BMWs alone. If you want to know anything about the be-roundel'd marque, this is the man to ask. Yes, yes, RLL stands for "Rahal Letterman Lanigan," with Rahal being Graham's dad. That doesn't mean Graham Rahal isn't talented in his own right—rather, far from it. At 19, he became the youngest driver to win a major auto race in his debut IndyCar race at St. Petersburg. He also co-piloted the BMW Team RLL car to victory at the 2011 Rolex 24 at Daytona, so he's not new to sports cars or endurance racing, either. After two years of second-place championship finishes, the team is sick and tired of not winning first place. They won the American Le Mans Series season championship in 2010 and 2011, so could this be the year for win #3 and their first championship in the merged United SportsCar series?